The function of the Internet has been very pronounced since its appearance, it used to be very useful for sending e-mails (e-mails). Until now it continues to grow, the internet can be used for communication, sending video messages, listening to music, creating websites, and even playing games together online. In addition there is also a Search Engine that provides a lot of benefits for our lives. Looking for anything is easy, with search engines we can search for various needs such as Tutorials, Solutions, Examples, Learning Materials (Education), searching for Information, the latest news, even searching for goods (buying) can be on Search Engines. Almost everyone uses Search Engines, such as Students / Students who are looking for subject matter, housewives who are looking for recipes, adults who are looking for news such as Sports, even small children who are looking for cartoons using Search Engines. All needs are easier to find thanks to the existence of a Search Engine, such as finding out a product before buying you can search for information from other people who have bought before and share it on the Internet. Or if you experience problems such as how to repair damaged items, you can try to find a solution to fix it. As explained above, this search engine is the most familiar and most used. Even small children know about the existence and function of Google. Google companies that also have Blogger and Youtube make their search engines more complete. When we search for information on Google, information will appear in the form of writing websites, images, and videos. That is what makes many people interested in using Google as a Search Engine. Google is the best search engine No. 1 and most often used in the world, even some surveys state that every 80% problem is found through Google. That is because every search on Google will show accurate information. In addition, many creators from Blogger or Youtube make information on Google even more complete. The way to access it is quite simple and even easy and can be accessed via a Smartphone, with great access but it provides tremendous benefits. Bing or Yahoo are Google's main competitors because some Google Products always compete with Bing / Yahoo Products. Starting from Gmail> Yahoo / YMail, then Google Adsense> Bing Ads, and the most important is Google Search Engine> Bing Search Engine. Hundreds of millions of people access the Bing Search Engine every day. Bing Ads besides Search Engines also provides the Latest News Information in the World on the Homepage page. Yahoo / Bing Search Engine also makes it easy to find information, even the content of search results is also very large and accurate. This Search Engine comes from Russia, but that does not mean the Yandex Search Engine is only accessed and used by Russians. Yandex is widely used in Europe and even Asia, its simple appearance makes many people use it. Various information is available and continues to update. Each search for information will show the latest version to provide the latest and freshest information to its users. Yandex entered the ranks of the best Search Engines in the World because in some time it became the choice of millions of people in the world spread across various countries. Some people know Baidu as a lightweight browser and lite when used. With a soft display, the Baidu browser can be used as an Alternative Browser for Internet Access. Besides the browser, Baidu also provides a search engine, originating from China whose name is taken from a quote from a classic poem of the past. Many people use Baidu as a Default Search Engine, especially Internet users from Asia. Baidu claims that Baidu is the fastest performing search engine with faster loading compared to other search engines. As the name implies, Ask, originally known as Ask Jeeves, is a question and answer based search engine developed by Garrett Gruener and David Warthen in the United States, California. Initially Ask was used for people who were confused looking for answers. We can try asking something later and other Ask users will answer. As time went on, Ask developed and became a Popular Search Engine. Very suitable for those who are looking for answers, there will be a lot of information that can be obtained. This Search Engine is similar to a Forum because other people will also help to provide the best solution. 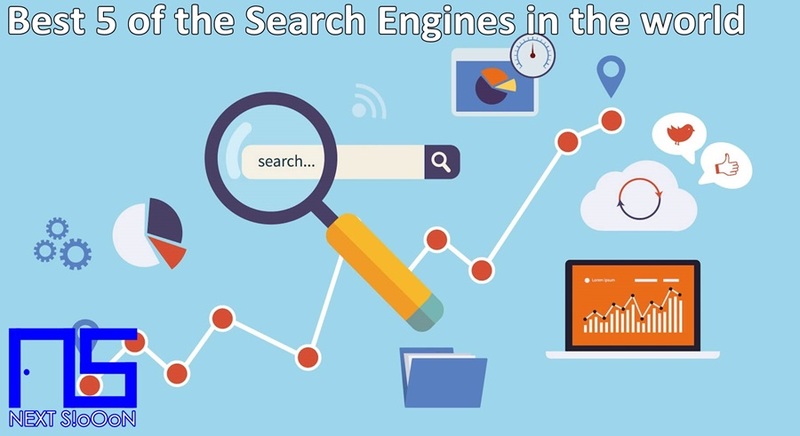 Those are some of the best Search Engines in the world, actually there are still many other Search Engines such as AOL, Info Space, Duck Duck Go, but according to Next Siooon that's the 5 best Search Engines in the world. This position may change depending on the innovation and improvement of its users. Thank you for visiting Next Siooon, hopefully it's useful. Search Key: The Best Search Engines, 5 of the Best Popular Search Engines, the Best Search Engines in the World, the Best and Popular Search Engines, the Best-Used Search Engines, the Best Popular and Biggest Search Engines.